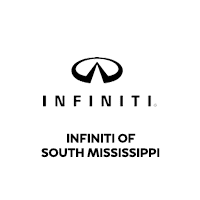 INFINITI of South Mississippi in Mississippi has everything you need to finance a vehicle! If you are in the market for a vehicle, then come check our extensive selection of new vehicles and wide variety of pre-owned vehicles today! Our collection of vehicles is immense so we are confident we can find a vehicle that fits your vehicle needs and compliments your unique personality! Drive into INFINITI of South Mississippi or contact us to start your search. Then, talk to our expert finance team for assistance in achieving effortless financing with us! You can also check out our convenient and free credit application and can get approved online in minutes! Plus, our INFINITI Financial Service is a part of the dealership, so you don’t have to deal with the hassle of a third party lender. Save time and effort while getting behind the INFINITI vehicle of your dreams when you finance with the seasoned experts at INFINITI of South Mississippi. When you are in the market for a luxury vehicle, we’ll make the financial process feel luxurious too! Come by INFINITI of South Mississippi and let our team assist you with your vehicle needs! We look forward to seeing you! The INFINITI Financial Service Department at INFINITI of South Mississippi hosts our well experienced and highly trained financial specialists. They know the ins and outs of each of our vehicle models as well as each trim which helps them find the tailored auto loan your need quickly. Since our financial professionals specialize in auto loans, they know the financing process comprehensively and their expertise can help you select the finance plan that suits your lifestyle. INFINITI of South Mississippi has relationships established with countless lenders so that we can offer a range of financing options. With plenty of options, our financial experts can find competitive rates for your choice of vehicle!